The early stage of apoptotic signaling involves complex cascades of signaling molecules and has been simplified in Figure 1. The most prominent factors in both extrinsic and intrinsic pathways will be examined below. For more information on other stages of apoptosis or application specific resources for studying apoptosis, view links at the bottom of the page. Early apoptosis signaling focuses on activation of signaling molecules downstream of the death receptors and/or activation of the pro-apoptotic members of the B-cell lymphoma 2 (Bcl-2) pathway. Detecting early events in apoptosis allows to identify the pathway (extrinsic or intrinsic) by which apoptosis has been induced. Although at the early stage there are no visible signs of apoptosis, cell signaling events include post translational modifications (PTMs) and assembly of signaling complexes. As such, traditional western blotting usually offers the best options for studying proteomic changes of the early phase of apoptosis. For further information on studying apoptosis by western blot, click on the application specific resources at the bottom of the page. Fig. 1. Early phase of apoptosis. In the intrinsic pathway DNA damage leads to activation of p53 upregulated modulator of apoptosis (PUMA)/ Bcl-2-associated agonist of cell death (BAD)/NOXA. These inhibit the action of Bcl-xL/Bcl-2 and this leads to liberation of Bcl-2-associated X protein (BAX)/ Bcl-2 homologous antagonist/killer (BAK). In the extrinsic pathway death receptor activation leads to assembly of the DISC. This leads to activation of pro-caspase-8 which in turn activates effector caspases. The early stage of the intrinsic pathway consists of a sequential activation of Bcl-2 family members. DNA damage leads to activation of a cell wide set of responses including cell cycle checkpoints and DNA repair. Cell cycle checkpoints are controlled by two master kinases Ataxia telangiectasia mutated (ATM) and Ataxia- and Rad-related (ATR). ATM and ATR increase the activity of p53 which in turn activates the expression of PUMA and NOXA. Protein phosphatases activate BAD by de-phosphorylation whereupon it becomes free to interact with anti-apoptotic Bcl-2 family members, thereby activating the apoptotic effector machinery. The key event in the early phase of the intrinsic pathway is the liberation of BAK and BAX from Bcl-2 and Bcl-xL. Following inhibition of Bcl-2/Bcl-xL (or activation of BH3 interacting-domain death agonist (BID), BAX and BAK form a pore in the mitochondrial membrane. This allows induction of mitochondrial outer membrane permeabilization (MOMP) (Giansanti and Scovassi 2008). MOMP leads to a collapse of the mitochondrial membrane potential. Fig. 2 Staining of paraffin embedded human tonsil with Mouse Anti-Human Bcl-2 (MCA1550). The Bcl-2 family regulates apoptosis through the actions of both the pro-apoptotic and anti-apoptotic members. The family is comprised of over 20 cytosolic proteins characterized by Bcl-2 homology (BH) domains that are essential for functionality. At least one BH motif is contained in each of the Bcl-2 family members contributing to the function. The members of the Bcl-2 family fit into three functional categories (anti-apoptotic, pro-apoptotic multidomain effectors, and the Bcl-2 homology 3 (BH3)-only activators) as shown in Table 1. The BH3-only subfamily only contains one of the four BH domains which are crucial to apoptosis. Members of the anti-apoptotic subfamily and the multidomain subfamily contain two or more BH domains. Under basal conditions pro-apoptotic effector Bcl-2 family members are sequestered by anti-apoptotic Bcl-2 family members. 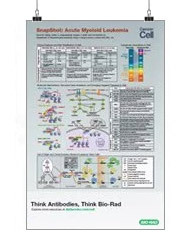 For a complete listing of all antibodies against Bcl-2 family members click here. Table 1. Bcl-2 family members. The anti-apoptotic Bcl-2 family members prevent apoptosis by binding and sequestering the pro-apoptotic multidomain family members. This inhibitory action is interrupted by the BH3-only subfamily members who are activated under apoptotic conditions. Once liberated, the pro-apoptotic multidomain proteins, BAX and BAK, form mitochondrial apoptosis-induced channels in the outer mitochondrial membrane. This results in mitochondrial membrane depolarization and release of several factors including APAF-1 and cytochrome c.
PUMA, also known as Bcl-2-binding component 3 or JFY-1, is a member of the Bcl-2 homology 3 (BH3)-only protein family, whose expression is regulated by the p53 tumor suppressor protein. In response to stress and DNA damage, p53 binding results in PUMA transcription. PUMA acts as an apoptosis trigger via mitochondrial signaling and interaction with Bcl-xL and Bcl-2 and other anti-apoptotic proteins. NOXA is a BH3-only pro-apoptotic member of the Bcl-2 protein family. NOXA is localized to the mitochondria and is a transcriptional target of p73 and p53. NOXA displaces, the pro-apoptotic proteins BAK, and BIM, from the anti-apoptotic protein Bcl-2 family members thereby promoting apoptosis over cell survival. NOXA can also be upregulated independently of p53. BAD is a BH3-only pro-apoptotic member of the Bcl-2 protein family. BAD is pro-apoptotic and its precise role in apoptosis signaling depends on BAD’s post-translational modification status. Non-phosphorylated BAD forms heterodimers with the two anti-apoptotic Bcl-2 protein family members, Bcl-xL and Bcl-2 (Zha et al. 1996). The binding of BAD to Bcl-xL promotes apoptosis by inhibiting the anti-apoptotic function of Bcl-xL (Yang et al. 1995). Once serine phosphorylated, BAD is unable to heterodimerize with Bcl-xL (Masters et al. 2001). This binding retains BAD in the cytoplasm and thereby enables Bcl-xL to suppress apoptosis (Zha et al. 1996). Bcl-2 is the founding member of the Bcl-2 family and functions as a repressor of apoptosis. Bcl-2 is a ubiquitously expressed mitochondrial membrane protein that inhibits apoptotic death by sequestering BAX and BAK. BID is a pro-apoptotic molecule that heterodimerizes with other members of the Bcl-2 family including the agonist BAX or antagonist Bcl-2. BID contains a BH3 domain, required for its interaction with the Bcl-2 family proteins and for its pro-apoptosis activity. BID is cleaved to produce a shorter active form known as truncated BID (tBID). tBID translocates to mitochondria where it results in activation of the intrinsic pathway. BAK is a pro-apoptotic multidomain effector family member similar to BAX with which it is thought to share significant homology. Mcl-1 and Bcl-xL sequester BAK in non-apoptotic cells. Following initiation of apoptosis NOXA and BAD liberate BAK leading to permeabilization of the outer membrane of the mitochondria releasing pro-apoptotic factors. BAX, also known as Bcl-2 -like protein 4 or Bcl-2-associated X protein, is a pro-apoptotic multidomain effector family member. Following induction of apoptosis, BAX translocates to mitochondria and induces MOMP (Giansanti and Scovassi 2008). As shown in Figure 1, upon ligand binding, death receptors oligomerize and recruit adaptor proteins such as receptor-interacting serine/threonine-protein kinase 1(RIPK1), RIPK3 and Fas-associated protein with death domain (FADD). This protein complex is called the death-inducing signaling complex (DISC). Components of the DISC are also involved in other forms of programmed cell death. For example, RIPK3 activation is one of the key initiating steps in necroptosis. As part of DISC assembly, pro-caspase-8 (the inactive form of initiator caspase-8) oligomerizes and is cleaved into its active form, caspase-8, which in turn cleaves and activates effector caspases (caspase-3 and caspase-7). One of the early effects of this activation is to inhibit phosphatidylserine (PS) flippase, leading to the exposure of PS at the outer plasma membrane (in healthy cells PS is restricted to the inner plasma membrane). However this apoptotic event doesn’t represent a total commitment to apoptosis. The early phase may also be a point of crosstalk between extrinsic and intrinsic pathways. Active caspase-8 cleaves BID producing the 15 kDa active fragment tBID. tBID exerts a pro-apoptotic influence within the Bcl-2 signaling pathway. Fig. 3. HeLa cells were incubated A, in the presence or B, in the absence of staurosporine to induce apoptosis. pSIVA-IANBD and PI were added to the media and the cells imaged with the ZOE™ Fluorescent Cell Imager. Early apoptotic cells are pSIVA-IANBD positive, shown in green, while late dead cells are PI positive, shown in red. Phospholipid asymmetry is the controlled distribution of different lipid species in the lipid bilayer. One of the early apoptotic events is the rearrangement of lipids in the plasma membrane. This change results in the exposure of PS to the extracellular surface (in healthy cells PS is on the intracellular side of the membrane). This exposure is dependent on inhibition of a type of enzyme known as a flippase and a signal to phagocytes to engulf the cell. Fluorophore conjugated Annexin V is often used to assess changes to plasma membrane asymmetry. However, PS exposure can be transient, a phenomenon known as “PS flipping" (Van der Mark et al. 2013). The pSIVA (polarity-Sensitive Indicator of Viability & Apoptosis) (Kim et al. 2010 b) probe is also capable of detecting external exposure of PS (Kim et al. 2010 a). Similar to Annexin V, the binding of the pSIVA biosensor is Ca2+ dependent (Kim et al. 2010 b) however pSIVA has the advantage of being compatible with live cell imaging (Figure 3). Both Annexin V and pSIVA can be used with propidium iodide to discern dead cells from those undergoing the early stages of apoptosis. Initiator caspases. 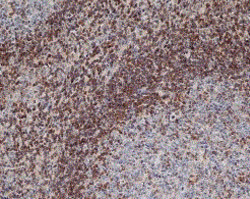 Caspase-8 is an initiator caspase and a key signaling molecule in CD95 and tumor necrosis factor receptor 1 (TNFR1) mediated apoptosis. Upon activation, the cell death receptor Fas links with the adaptor molecule FADD via corresponding death domains (DD). FADD in turn then binds via death effector domains (DEDs) to pro-caspase-8, which then undergoes oligomerization and autocatalytic activation. Active caspase-8 cleaves and activates effector caspases and the Bcl-2 family member BID (Wolf and Green 1999). Measurement of initiator caspase (caspase-8 and caspase-10) activity can be done by western blotting or flow cytometry. Determination of caspase-8 activity by western blotting relies on detecting the caspase-8 active fragments (p18 and p10) with an appropriate caspase antibody. Table 2 shows the molecular weight of the active fragments of the caspases. Caspase FLICA Apoptosis Detection Kits allow analysis of active caspases in live cells through the use of a fluorescent caspase inhibitor that binds active caspase only. Table 2 also shows the inhibitors specific to each caspase. Detection of active caspase-8 provides evidence of extrinsic pathway activation. For more information on studying apoptosis by western blot and flow cytometry please visit the application specific resources. Table 2. Caspases involved in early stages of apoptosis. Effector caspases. Caspase-3 and caspase-7 are so called “effector” caspases. Initiator caspases auto-proteolytically cleave whereas effector caspases are cleaved by initiator caspases. This hierarchy allows an amplifying chain reaction. Effector caspases control many of the phenotypical changes observed during apoptosis such as membrane blebbing and DNA fragmentation. 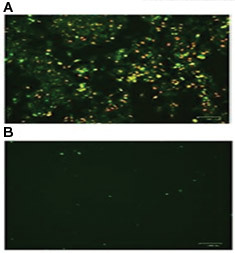 Figure 4 shows cells with active caspase-3 or caspase-7 as determined by the Caspase-3/7 Kit. Fig. 4. Jurkat cells treated as shown with staurosporine at 1µM to induce apoptosis. After apoptosis induction, Jurkat T cells were stained with FAM FLICA™ Caspase-3/7 Kit (ICT094) and ReadiDrop™ Propidium Iodide (1351101). Apoptotic cells positive for caspases can be seen in the bottom right quadrant and dead cells positive for both caspase and PI in the top right quadrant. Healthy cells are negative for both stains. Data acquired on the ZE5™ Cell Analyzer. Giansanti V and Scovassi AI (2008). Cell Death: A One-Way Journey to the Graveyard. The Open Biology Journal 1, 27-34. Kim YE et al. (2010 a). Engineering a polarity-sensitive biosensor for time-lapse imaging of apoptotic processes and degeneration. Nature Methods 7, 67-73. Masters SC et al. (2001). 14-3-3 inhibits Bad-induced cell death through interaction with serine-136. Van der Mark V et al. (2013). P4 ATPases: Flippases in Health and Disease. Int J Mol Sci. 14, 7897-7922. Wolf BB and Green DR (1999). Suicidal tendencies: apoptotic cell death by caspase family proteinases. J Biol Chem. 274, 20049-20052. Yang E et al. (1995).Bad, a heterodimeric partner for Bcl-XL and Bcl-2, displaces BAX and promotes cell death. Cell 87, 619-628. Zha J et al. (1996). Serine phosphorylation of death agonist BAD in response to survival factor results in binding to 14-3-3 not BCL-X(L). Cell 87, 619-628.